Mary strategically leads the ConRes team with a commitment to advancing modern IT, while delivering customer-focused, top quality services. She is dedicated to furthering ConRes’ philanthropic activities, and is especially interested in supporting women’s organizations, including Dress for Success. Her ConRes career began in 1986 as assistant to the president, and she advanced to vice president of operations prior to being named CEO in 2007. 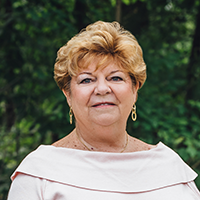 Mary has witnessed the company’s impressive development since her father established it in 1962, and continues his legacy through the organization-wide promotion of honesty, service, and collaboration. She holds a bachelor of science degree from Plymouth State University. Mary truly enjoys the camaraderie, teamwork, and innovation of the ConRes environment. At home, she relishes time with her four grandchildren, cooking for family events, and reading – or watching – The Hunger Games. Jim’s tenure as ConRes president began in 1993, and his leadership has since contributed to a nearly 230% increase in business growth. He directs the Systems and Network Integration Division, and was integral to the move to manufacture XPRO Systems PCs and servers. He is a recognized computer industry expert, and has contributed his knowledge to the steering committees of the top OEMs in the industry. 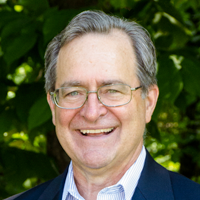 Jim’s ConRes career began in 1977 as an inside sales representative, after he earned a BS in Marketing from Babson College. He values the company’s dedication to honest work ethics and technical expertise, and is continually impressed with the many employees who have committed their careers to ConRes for years – and even decades. Jim played soccer in college, and amazes his two grandchildren and three sons with his soccer ball “rainbow move.” He enjoys skiing, yard work, and handyman tasks. He recently installed new garage doors at home, and even built – and welded – a dozen lacrosse goals for town use. Jim’s favorite book is The Great Bridge: The Epic Story of the Building of the Brooklyn Bridge. Kevin lends his effective global leadership and management skills to ConRes’ business development, strategic planning, and technology advancement initiatives. 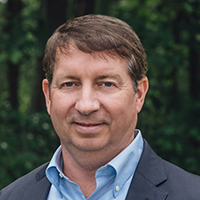 He directs the regional managers, builds and maintains partnerships with top technology vendors, and serves on a variety of corporate advisory committees. He is also a member of the ConRes and Wall Industries Board of Directors, and is president of the Continental Leasing Company. 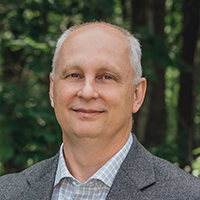 Kevin has been employed at ConRes since 1981, beginning as a sales representative and leveraging new opportunities – and an MBA from Babson College – to advance his career. His contributions have been impactful, including establishing and managing the company’s Quality Management System, Customer Service Group, and Vendor Business Development Group. He is proud of ConRes’ embodiment of cooperation and trust, which produces a true family feeling for employees and clients alike. Kevin’s time outside of work is filled with visits with his two grandchildren, gardening, and skiing. His favorite movie is Being There, starring Peter Sellers, and he recently enjoyed reading Riding With Reagan. 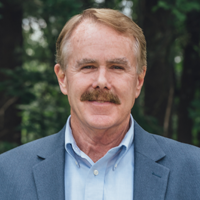 Jim oversees all of ConRes’ financial activities, from risk management and data analysis, to forecasting. He began his more than 40-year career at the company as assistant controller. He holds an MBA from Babson College and an MST from Bentley College, and is a member of the Massachusetts Society of Certified Public Accountants. He is continuously impressed with ConRes’ commitment to client service and employee satisfaction, and the dedication of his team members. Jim is an avid painter, and enjoys skiing, golf, and time spent with his three grandchildren. Jim drives the global sales, rental, and leasing efforts for ConRes’ Electronic Test & Measurement Division. He builds and maintains partnerships with the premier test equipment manufacturers in the world – among them Rohde & Schwarz, Tektronix, Keithley, Keysight, Fluke, GW Instek, and RTX. 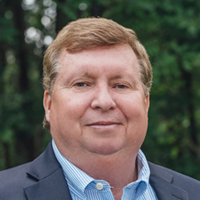 His career began with ConRes in 1976 as an outside sales account manager, where he established ConRes as a leading test equipment provider to large prime contractors and electronics manufacturers. He has since advanced through the ranks to Regional Sales Manager, followed by Vice President of Sales in 1988. He appreciates ConRes’ attention to customer satisfaction; where the delivery of quality products, in combination with exceptional, personalized customer service are key to the Company’s success building long-term relationships with customers across multiple industry segments. In an effort to support a key business segment, the higher education market, he is a member of the corporate advisory council at ECEDHA (Electrical and Computer Engineering Department Heads Association). Jim holds a BS degree in Business Management from Northeastern University. He enjoys skiing, golf and making the time to spend with his family. His favorite book is Where Have All the Leaders Gone, by Lee Iacocca. Richard has served as ConRes Controller since 2012, after various promotions within the Accounting Department since joining the company in 1997. His prior experience includes accounting management roles in mortgage servicing and telemarketing firms. He appreciates the unique way ConRes flexibly adapts to rapid industry changes, and believes the accessibility of company leaders is a true tenet of the organization’s success. Richard holds a BS/BA in Accounting from the University of Massachusetts Lowell, and supports the school’s River Hawks hockey team by attending games at the Tsongas Arena. He is an accomplished bowler, loves hot wings, and enjoys vacationing with his family.